Mitchell M. Tsai specializes in environmental, land use, and real estate litigation, while also handling immigration and bankruptcy matters. He has represented individuals, companies, and organizations in environmental and business disputes in both federal and state court as well as many administrative proceedings before local boards, commissions and councils. Prior to working for this Office, Tsai served as an Associate with The Law Office of Gideon Kracov where he handled environmental cases involving environmental impact review ( National Environmental Policy Act, California Environmental Quality Act), pollution control (Clean Air Act, Clean Water Act), hazardous waste (Resources Conservation and Recovery Act, Comprehensive Environmental Response Compensation and Liability Act commonly known as Superfund), consumer safety (Proposition 65), and land use. Prior to passing the Bar, Mr. Tsai worked as a law clerk at the United States Department of Justice Environmental Enforcement Section, Santa Monica Baykeeper (now known as Los Angeles Waterkeeper), Environment Now, Law Offices of Robert Ukeiley, and Rod Danielson Chapter 13 Bankruptcy Trustee. Mr. Tsai received his law degree along with a Certificate in Environmental and Natural Resources law from Lewis & Clark Law School in Portland, Oregon. While in law school, he served as Managing Editor of Environmental Law review, the nation’s oldest law review dedicated solely to environmental issues. He also served as Air Quality Coordinator for the Northwest Environmental Defense Center. He received his undergraduate degree in International Relations from the University of Southern California. Prior to practicing law, Mr. Tsai worked as a policy advocate and researcher on international peacekeeping, environmental justice, pollution control, and climate change issues. During that time, he worked at the United Nations Institute for Disarmament Research, California League of Conservation Voters, Taiwan Environmental Action Network, and the Fund for Public Interest Research. In his free time, Mr. Tsai enjoys running, hiking, bicycling, and ice hockey. He is an avid supporter of USC Trojan football, Los Angeles Kings hockey, and the Portland Timbers Football Club. Mr. Tsai is proficient in Mandarin Chinese. Trojan Debate Squad, 4 year scholarship member for Policy Debate. Mitchell Tsai, “How To Stop Major Development Projects in California” New American Leaders Fellowship Meeting (Dec. 4, 2013). Gideon Kracov, Shufan Sung, & Mitchell M. Tsai, “Can Citizen Suits Help China Battle Pollution” Los Angeles Daily Journal (Jan. 8, 2014). Mitchell M. Tsai, “CEQA ‘Reform’ Begins To Take Hold” Los Angeles Daily Journal” (Aug. 25, 2014). 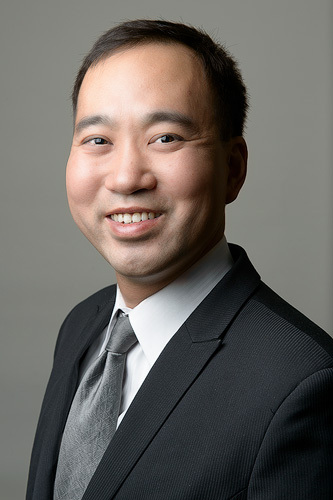 Mitchell M. Tsai, “Til The Well Runs Dry: Administrative Record Preparation Cost Recovery Under The California Environmental Quality Act” American Bar Association Section of Environment, Energy and Resources Energy and Natural Resources Litigation Committee Newsletter (Dec. 2014). Mitchell M. Tsai, “Concerns about a CEQA Reform That Favors Multimodal Transportation” Los Angeles Lawyer” (Jan. 2015). Southern California Leadership Network, 2013-2014 New American Leaders Fellow –Fellowship program providing leadership and communications training to develop leadership skills for first and second generation Americans.